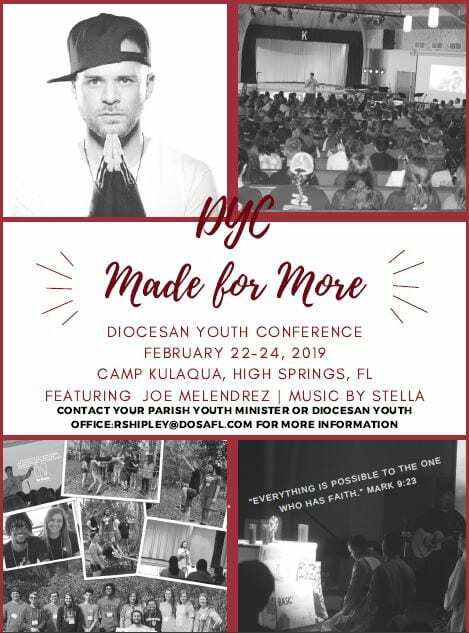 Where youth come together to serve, worship, pray, & play! 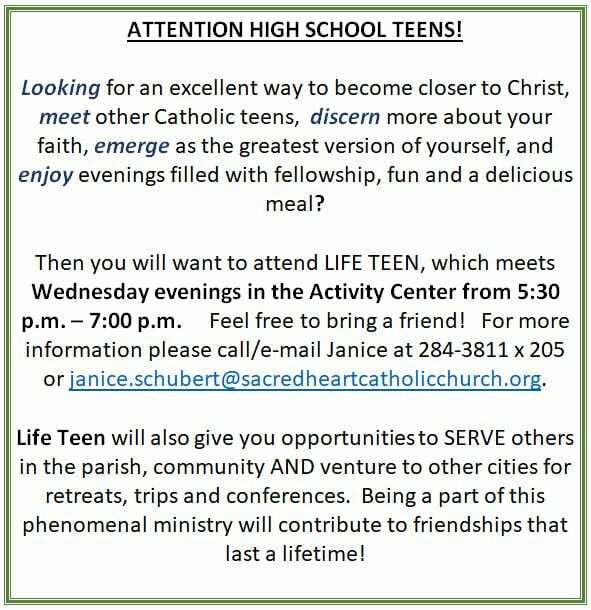 LIFE TEEN (High School) – 5:30 P.M. – 7:00 P.M. EDGE (6th – 8th) 7:05 – 8:30 P.M. 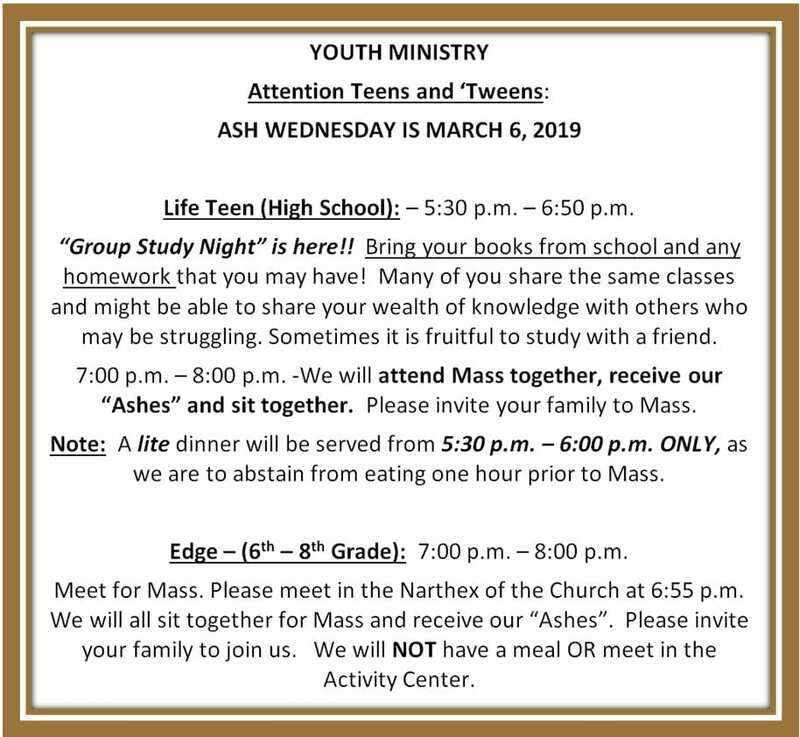 Through Youth Ministry, we seek to help young people of our parish grow in a faith-filled relationship with God and in a consistent devotion to serving others of our community. 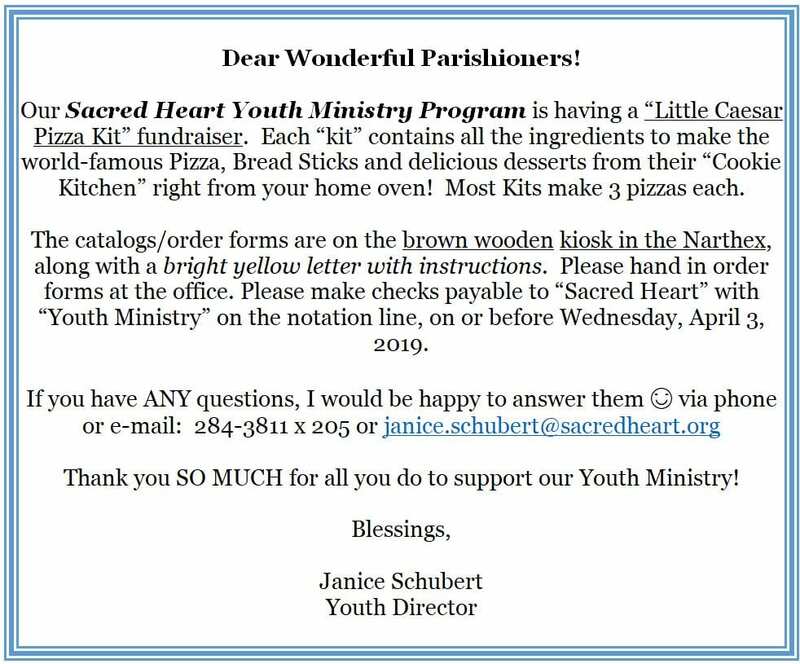 We are currently seeking Adult members of Sacred Heart Parish to become Youth Ministry Volunteers! Through group activities, volunteers share their faith in: prayer, leadership, community and service. Become involved in this energetic and Spirit led ministry! Saturday 4:30 to 5:15pm or by apt.